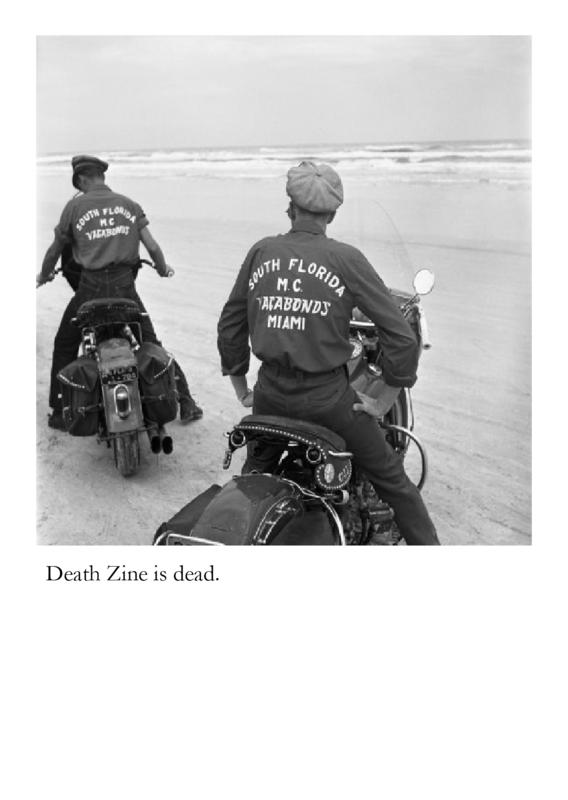 It is with a heavy heart that I have to report the sad passing of one of my favourite zines. 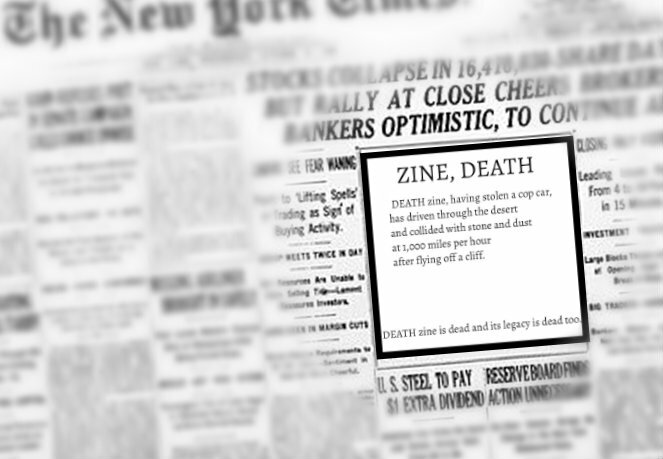 Yes zinesters, DEATH IS DEAD. make slow finger outlines around the Lizardman. A single warm tear drips as I peel the back from my free sticker pack. Why DEATH? Everything was going so well. They’re going to continue to create great zines. Death has left the building.